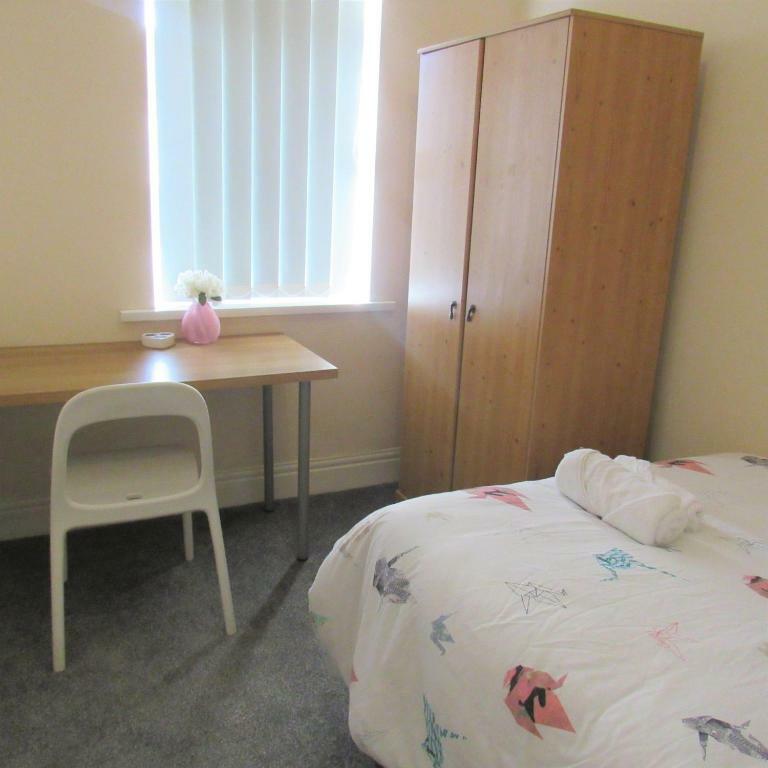 Located 2.1 miles from Northumbria University and 2.6 miles from St James' Park in Newcastle upon Tyne, Spacious Flat Heaton offers accommodation with a kitchen. 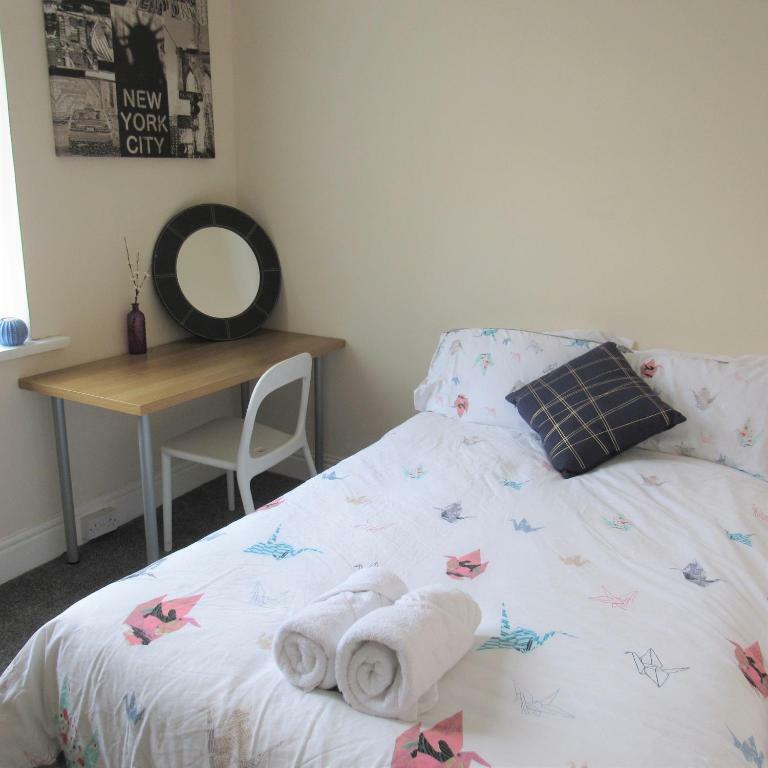 Free WiFi is available in the apartment, situated 2.7 miles from Theatre Royal. The apartment is equipped with a flat-screen TV, 4 bedrooms and a living room. 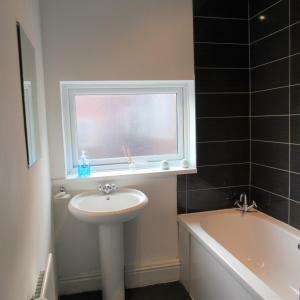 The accommodation also comes with 1 bathroom with a bath and a washing machine. The Sage is 3.1 miles from Spacious Flat Heaton, while Metro Radio Arena is 3.1 miles away. 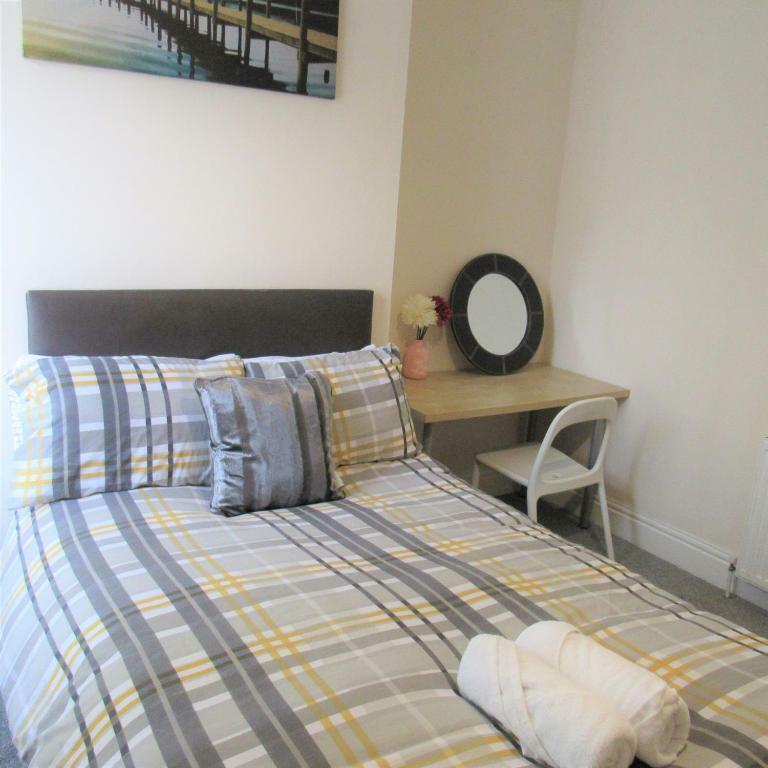 The nearest airport is Newcastle International Airport, 8.7 miles from the accommodation. Spacious Flat Heaton has been welcoming Booking.com guests since 27 Nov 2018. When would you like to stay at Spacious Flat Heaton? Located in Heaton Newcastle-Upon-Tyne this 4 bedroom property is ideal for families and large groups. Newly refurbished the décor is warm and homely. 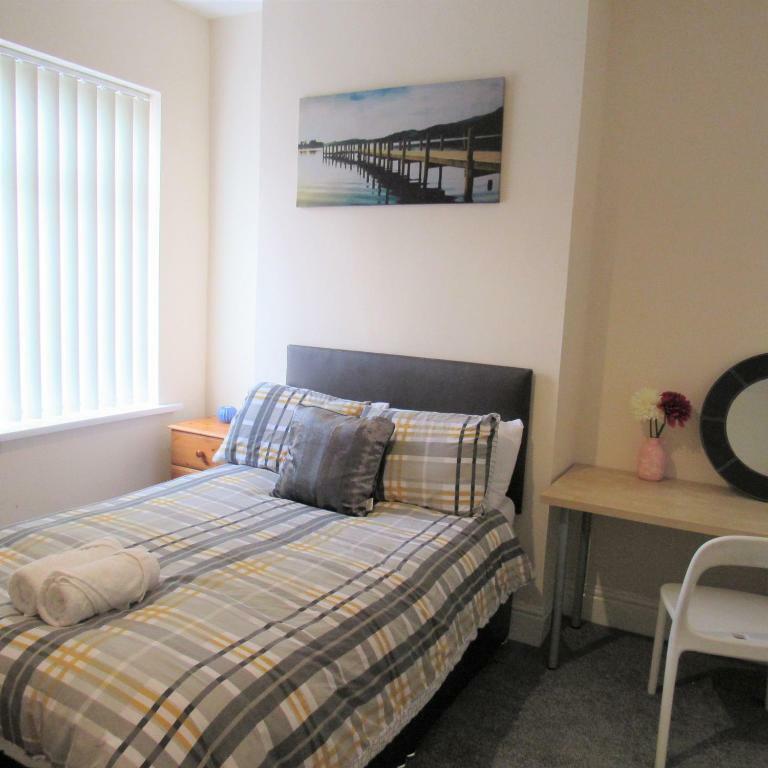 Close to Newcastle International Airport and Central Station. The City Centre is a 10 minute bus ride where you can find everything a wealth of entertainment to suit your requirements, Newcastle is renowned for its nightlife and it various style of bars etc, we has a lovely quayside with many tourist attractions on the doorstep. 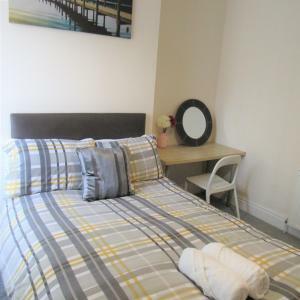 Chillingham Road has a wide range of cafes, shops, etc on offer to guests staying at the property. Whether it is a take-away you are after or a restaurant you will find it here. We are a small network who strive to give a warm welcome to guests. We are very particular about small details and want to make your stay a memorable one. We are here 24 hours for you in case you have any problems and we would hurry to resolve your issue quickly and effectively. House rules Spacious Flat Heaton takes special requests - add in the next step! Please inform Spacious Flat Heaton in advance of your expected arrival time. You can use the Special Requests box when booking, or contact the property directly with the contact details provided in your confirmation. We need at least 5 reviews before we can calculate a review score. 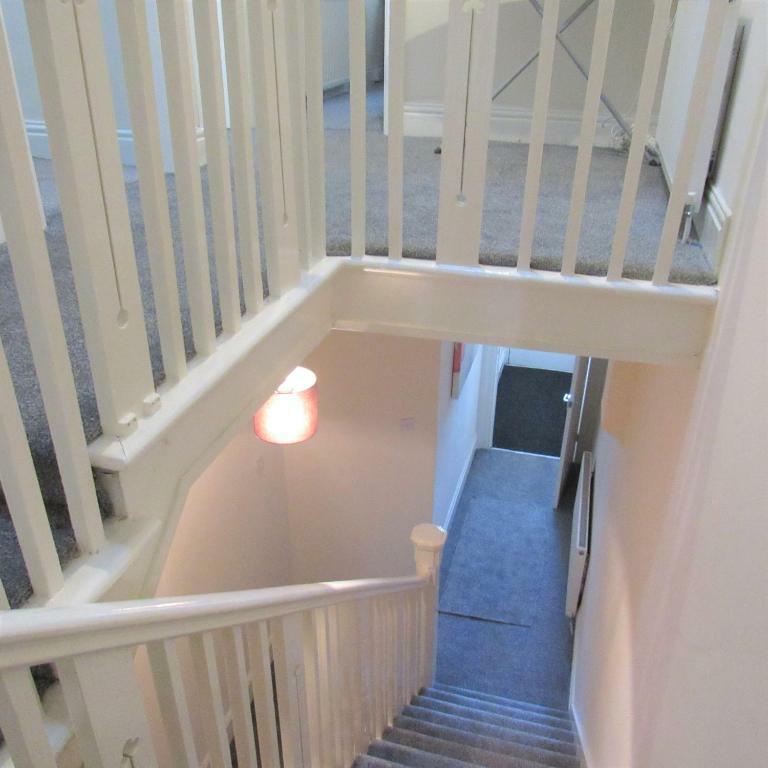 If you book and review your stay, you can help Spacious Flat Heaton meet this goal. 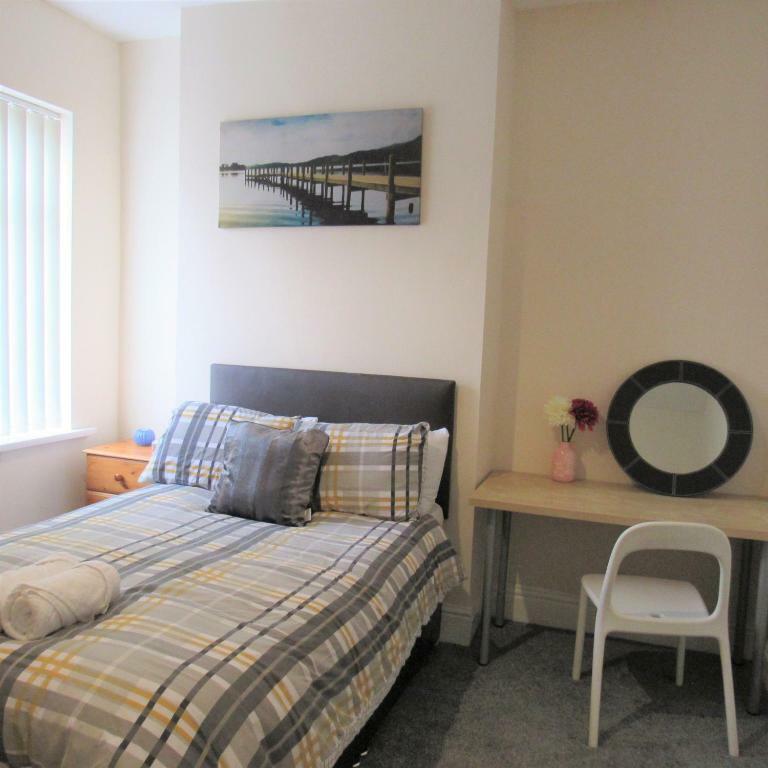 Lovely flat perfect for our weekend. Everything was lovely, clean and tidy. Staff were very helpful by giving us everything we needed. Highly recommend!! The lights could have been brighter for getting ready. I liked how the host was there on arrival and did not have you waiting about. Extremely welcoming and polite! 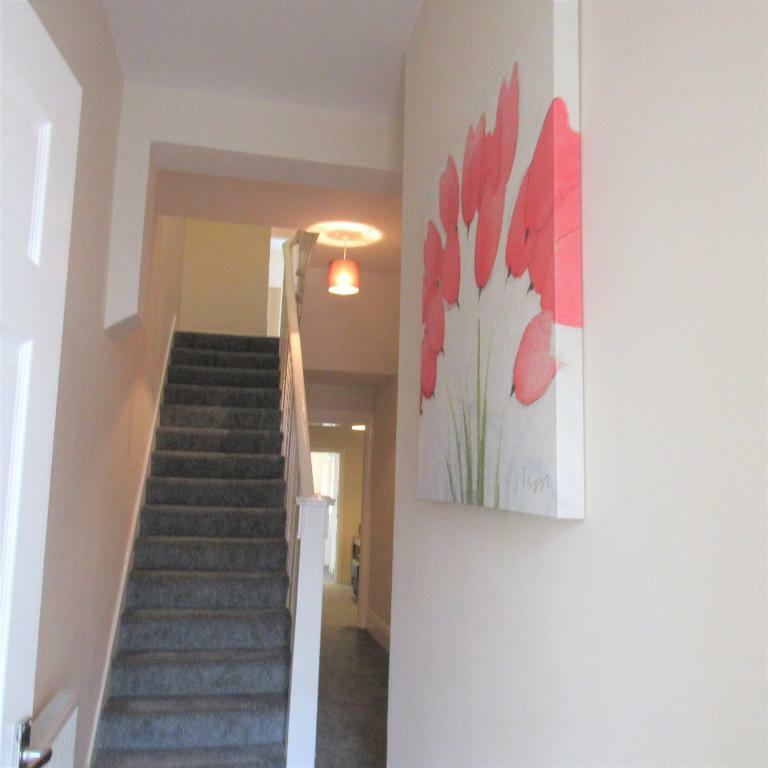 The house is much bigger than it seems in the pictures also and the location is great! Very spacious and very warming owner, definitely recommend! 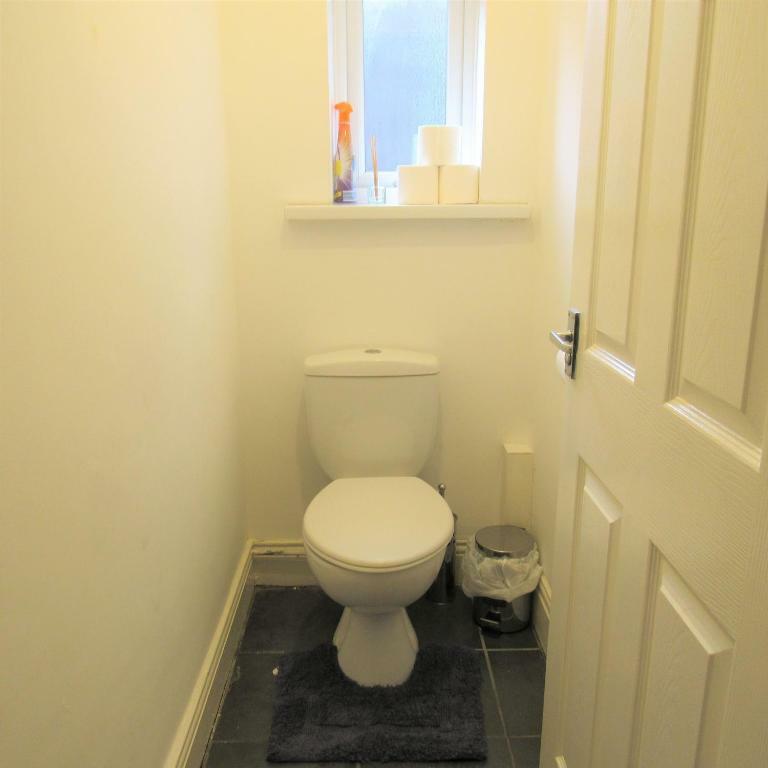 Spacious and close to the city centre.